Life seems idyllic for Marisa (Jacinda Barrett) and her son, Jack (Tom Russell), until a poor performance at a school soccer match ends with Jack in hospital and Marisa trying to find her husband, David (Richard Roxburgh), who is interstate at a conference. In fact, David is planning to leave Marisa for his current mistress (Yvonne Strahovski), with his phone off and not a care in the world. Jack is diagnosed with leukaemia and the only possibility of a cure is if David has had a child from one of his many flings who could be a bone marrow donor. So Marisa looks back through his diaries, figures when he could have been having affairs, and goes out door knocking. Unsuspecting women face a desperate mother as Marisa searches high and low for possibilities and the full scale of David’s infidelity is revealed. Meanwhile, Jack befriends Finn (Kodi Smit-McPhee) a young Irish boy in the next bed. He has been travelling the world with his father, Connor (James Nesbitt). Initial disdain turns to mutual respect as both Marisa and Connor find their own ways to deal with their respective sons’ illnesses. 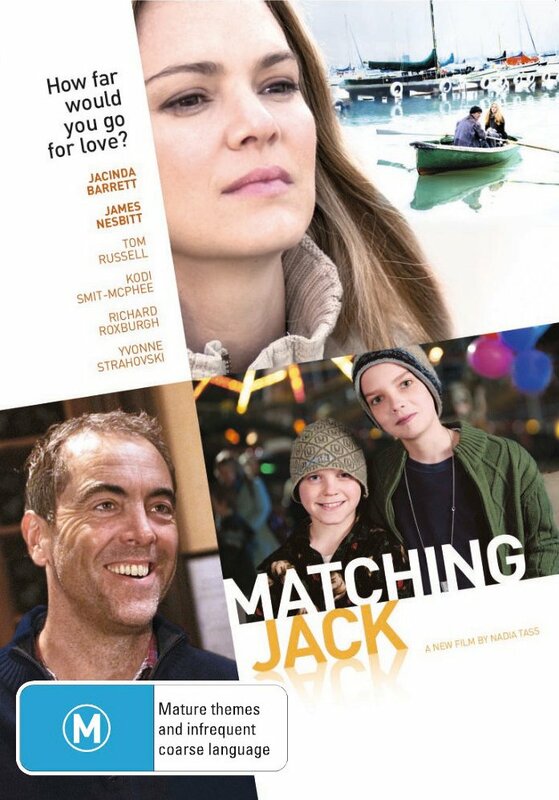 MATCHING JACK beautifully captures the power of love and the resilience of the human spirit…with a gentle and uplifting ending, that hints at a future full of hope. It’s rare that a great story, which has the right elements to make an effective drama, comes your way. MATCHING JACK is one of those projects. The idea that a boy’s life is saved through his father’s infidelity is loaded to the max. Ironic, emotive, call it what you like – it’s going to take an audience on a journey through pain, love, despair, humour and hope. Let’s look at some of the elements. The clock is ticking right through this script; a cure must be found for this child’s leukaemia; and in the next bed is a boy for which there is no cure. Here is passion and pain, despair and pathos. The boy’s father’s infidelity is exposed in the worst possible way; yet it is this infidelity that ultimately saves Jack’s life. What a paradox; what a Pandora’s box of emotions; nothing is simple here. A woman scorned, a child facing death, the search for a bone marrow donor is futile, unless the husband has had a child out of wedlock. The mother, Marisa, grabs this slim thread and, by delving into the husband’s past diaries, pinpoints women that her philandering husband may have been with. And then she goes door-knocking. Unsuspecting women are confronted with their past as Marisa tries to ascertain whether these are children that may have been fathered by her husband. This is a film based in reality and like real life it waivers between the highs and lows that we all experience. Confronting, thought provoking, heart breaking – a great story for now, for an audience from twenty years of age onwards – uplifting and tragic, funny and moving. It’s a story for you. This entry was posted in Films on December 4, 2014 by n1ch0la5b0lt0n.